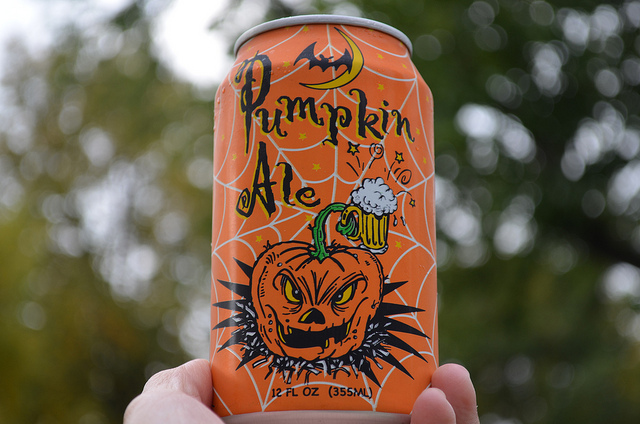 Wild Onion Brewing Co. seasonal craft Pumpkin Ale. What happens when two cultures known for their love of, uh, festivities, join forces? The second annual McToberfest! The love child of DANK Haus German American Cultural Center and the Irish American Heritage Center at the latter&apos;s Fifth Province transforms the authentic Irish pub into a German-Irish beer hall, with German-Irish food, drink, and spirits too. Admission $10, includes entertainment, food and drink additional. Chefapalooza, aka the fifth annual Chicago Gourmet takes over the gorgeous Gehry designed Pritzker Pavilion and the green lawns at Millennium Park. Over 100 Chicago restaurants will serve food, with hundreds of wines, beers, and spirits from around the world. Try to stay somewhat sober for the live cooking demos, seminars, and book signings too. Friday&apos;s Hamburger Hop and Saturday-only tickets are sold out, but Sunday-only and all-weekend tickets are still currently available. Admission $159 Sunday, $265 weekend. Last call at the seventh annual Oktoberfest at St. Alphonsus with homemade brats and beer in collectible steins under the big top Biergarten. Plus, Heritage Bicycle across the streets is offering not only a free bike valet but free tickets to cyclists. Admission $5 includes music, beer and brats additional. We can only hope this is a live Bizarre Foods meets Man v. Food, yes? Watch seven of my local food writer friends (Chicagoist&apos;s Anthony Todd, Galdones Photography&apos;s Huge Galdones, Grub Street&apos;s Michael Gebert, Plate&apos;s Chandra Ram, Serious Eats&apos; Nick Kindlesperger, Tasting Table&apos;s Heather Sperling, and The BrideScoop&apos;s Tatiana Abramova) get blindfolded, then taste 20 ingredients in 30 minutes, to try to guess them all. It&apos;s the inaugural Big Palate Challenge at Sono Wood Fired Pizzeria benefitting Share Our Strength. Eat and drink along with wine, beer, and passed apps. Admission $20. The inaugural Craft Spirit Week kicks off across Chicagoland, and actually all the way up to Wisconsin and Michigan. This week-long event was created by a collaboration of local craft distillers and is surprisingly the first true craft spirit week in the entire country. Hosted tastings, dinners, and seminars surround Wednesday&apos;s main event, the Independent Spirits Expo at The Warehouse at Carmichael&apos;s. Admission varies, some tastings FREE, $55 Expo general admission. Journey To a Cure at Red Door Chicago and the artist Tony Fitzpatrick&apos;s Firecat Projects gallery next door, benefitting the Chicago Diabetes Project. My chef friend Troy Graves prepares a seasonal buffet with wine and beer included for a rare night&apos;s convergence of food, drink, music, art, and inspiration. Half the proceeds from gallery sales that night will be donated to the CDP. Admission $75. This is the thinking drinker&apos;s Oktoberfest with flagship, rare, and one-of-a-kind craft beers from around the world. The Mash Tun Oktoberfest at the Bridgeport Art Center kicks off Chicago Artists Month. The fest will be held in the atrium next to the center’s sculpture garden with a pig roast, food trucks, and performances. Attendees will receive a souvenir tasting glass, pours of over 24 ales, and the new issue 2 of Mash Tun: A Craft Beer Journal, which follows the pleasures and aesthetics of craft beer and how it intersects with food, culture, and society. Admission $30.